Chad contacted us to help plan a celebratory trip for his wedding anniversary. 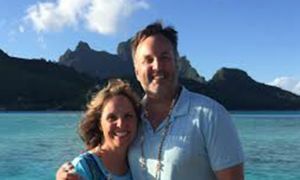 He & his wife Wendy had visited Moorea years ago and couldn't wait to go back, but this time they also wanted to do some island hopping. 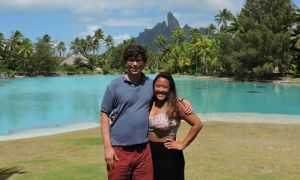 We put together an itinerary which allowed them to do plenty of exploring, but still felt nice and relaxed. 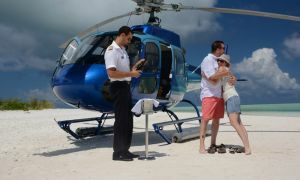 Chad: We celebrated our 25th anniversary in French Polynesia and visited three islands: Moorea, Ta’haa and Bora Bora. Moorea is stunning and by far the most beautiful. 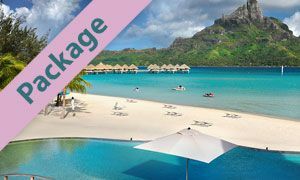 We stayed at the Hilton Moorea Lagoon Resort & Spa, a gorgeous hotel with well-maintained facilities and grounds. The Hilton is in a great location with really nice snorkeling right from the beach, and they have hands down the best buffet of anywhere we stayed. The beach is a bit small, but if you have an over water bungalow then you really don't need the beach anyway. Since we had a Deluxe Garden bungalow we did use the beach every day and at times it was a bit crowded. Our room was very nice and the private cooling pool was a great plus. We stayed 3 nights before moving on. 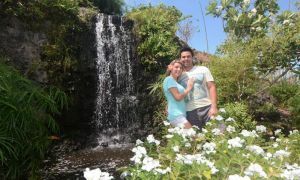 Next we stayed in La Ta’haa Island Resort & Spa, a truly fantastic resort. We stayed in an overwater bungalow with an unbelievable view! The resort is well away from anything and there is not a lot to do except relax. If you want to relax in a beautiful place, and in the comfort of a high quality resort, then this is the place for you. We spent 4 nights on Taha'a and wish we could have had a few more. The snorkeling was excellent, the food was yummy, and most of all the relaxation was divine! We loved it, and were really glad Jennifer suggested this resort. 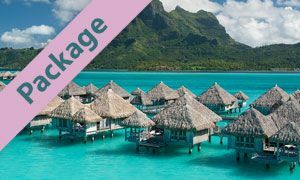 We wrapped up or celebration on Bora Bora at the Sofitel Marara Beach & Private Island. There we stayed in an over water bungalow and it was great. This was the last hotel we stayed in on this trip! Upon arrival it was apparent this was the most dated place we were to stay and frankly it was a little disappointing. However, after that initial impression wore off we began to love this hotel for a number of reasons. First, the view. Second, it is nice and the grounds are just beautiful! Third, it is small so you won't need a golf cart or bicycle to get around. Forth, the staff, who are very nice. 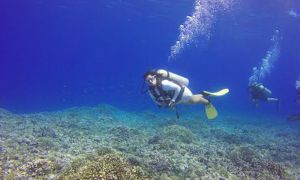 Fifth, the snorkeling is fantastic! Sixth, no children. We love children and we have children but we left them home for a reason. 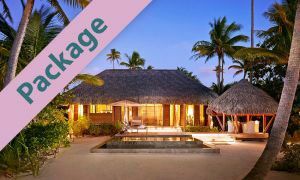 We would go back to the Sofitel Private Island in a heartbeat ! This hotel had the best WIFI of our trip. There is no swimming pool at this resort but with such a beautiful beach, I don't know why they would need one. In fact, after seeing the larger five star hotels, I wouldn't choose them because of their size alone. We went on this trip to relax and get away and that is just what we found. Jennifer's help was invaluable. 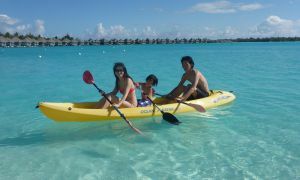 She gave us great advice and after understanding us and our expectations recommended the resorts. She nailed it. 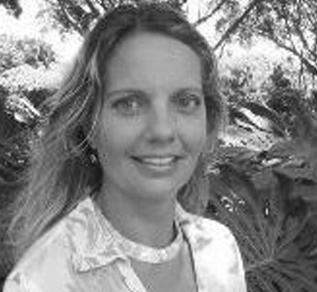 Her personal experience with the properties was extremely helpful. We were so appreciative of the time she took with us. We talked and she suggested properties and we talked some more and decided on a wonderful vacation. 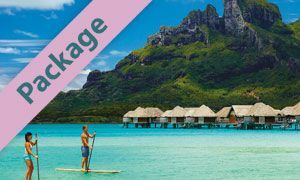 The communication and friendliness we received from Pacific for Less will have us going back to them and book our next getaway. 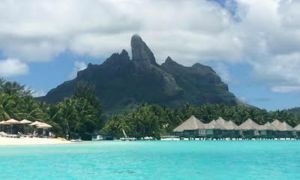 Our return to Moorea, ​we still feel this is ​the most stunning & beautiful of the ​three​ islands. 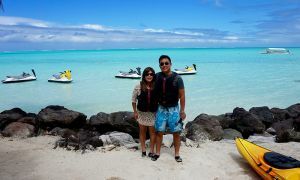 Our stay at La Tah​'​aa Island Resort & Spa. So incredibly relaxing with great food and friendly staff. Snorkeling at the Sofitel ​Private Island on ​Bora Bora​. ​Beautiful surroundings, it was just fantastic! The best breakfast anywhere is at the Hilton Moorea. Includes a daily breakfast buffet, chilled Champagne, complimentary mini-bar upon arrival stocked with beer /soda /sparkling water, complimentary WiFi, and roundtrip Airport-Hotel-Airport Transfers. 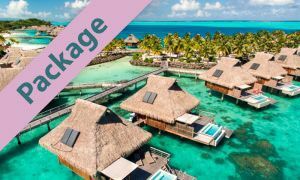 Includes a free night, daily breakfast buffet , chilled Champagne upon arrival, one dinner for two at the Vanille restaurant, a 8000 XPF spa credit (aprox $75), and a complimentary early check in and late check out based upon availability and roundtrip Airport-Hotel-Airport Transfers. Includes a daily breakfast buffet , complimentary mini bar (2 beers, 2 sodas, 2 waters, refilled daily), complimentary shuttle service to the main island, complimentary WiFi , one romantic flower bed, complimentary WiFi, and roundtrip Airport-Hotel-Airport Transfers.